Quality of Internet audio is highly sensitive to packet loss caused by congestion in links. Packet loss for audio is normally rectified by adding redundancy using Forward Error Correction (FEC). Alternatively, path diversity mechanisms are used to improve reliability and thus session quality. To achieve optimized receiver audio quality for transmissions using single or multiple paths, the authors propose a self-adaptive joint Error and Rate Control framework based on packet loss prediction and on-line quality assessment. The Error Control chooses appropriate FEC proactively to preserve quality with optimal bandwidth, using a Markov Decision Process (MDP) and a stochastic inventory control, a novel approach for multimedia error recovery. The Rate Control uses a quality optimization model to determine the optimal dispersion over single or multiple paths. This paper will present results using simulation and Internet experiments to show the superiority of this mechanism over other similar techniques. Deployment of Next Generation Networks and service convergence is likely to make IP technology the main vehicle for carrying interactive voice and video. Quality of Internet multimedia is highly sensitive to packet loss (Cole & Rosenbluth, 2001; Markopoulou, Tobagi, & Karam, 2002) caused by congestion in the links. Packet loss for real-time UDP audio and video is normally rectified using FEC (Lin & Costello, 1983), where a number of redundant packets are sent with the original packets. FEC is shown to be the most common technique for maintaining acceptable quality in presence of loss (Jiang & Schulzrinne, 2002). But the challenge with FEC is its bandwidth overhead, as FEC must be sufficient but not excessive, and timely, in order to be effective. Thus FEC degree and duration should be chosen adaptively in response to the network conditions of bandwidth degradation and packet loss. Alternatively, path diversity mechanisms, where session packets are dispersed over multiple paths, are used to improve reliability and thus multimedia session quality in overlay/p2p systems (Andersen, Balakrishnan, Kaashoek, & Morris, 2001; Apostopoulos, 2001; Fei, Tao, Gao, & Guerin, 2006), or multihoming networks (Akella, Pang, Maggs, Seshan, & Shaikh, 2004; Andersen, Balakrishnan, Kaashoek, & Morris, 2001). Packet dispersion can be a viable option assuming that at least one path will provide good performance to maintain session quality (Savage, Collins, Hoffman, Snell, & Anderson, 1999). In particular, packet dispersion is significantly beneficial to reduce the effect of high degree of burst loss (Zlatokrilov & Levy, 2004). But compared to FEC, path diversity is a relatively costly solution, since it can incur more sudden changes in one-way delay (Tao et al., 2005), disrupting a smooth playback. 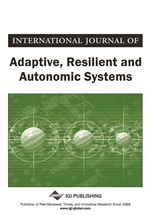 Thus the challenge is to provide an error control solution that adaptively combines the benefits of both FEC and dispersion techniques under different network conditions in order to provide optimal quality. It is also imperative that such error control is combined with an efficient rate control in order to provide bandwidth-friendly transmission with an effective degree of loss recovery.